For a perfect game this New Year’s Eve, roll into Frames, New York City Times Square’s best entertainment venue. Bowling, billiards, and dancing with wild abandon up your alley? 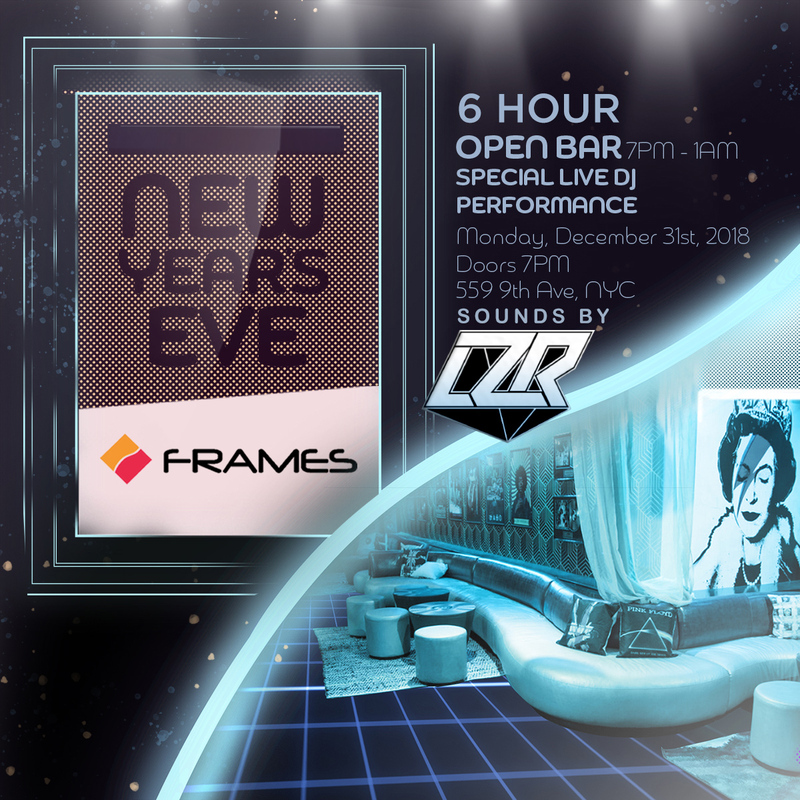 Then Frames is your New Year’s ticket for family-friendly fun, with an upscale nightlife edge. Sophisticated nightlife and lively entertainment are yours this New Year’s Eve in Times Square at Frames, the city’s foremost NYE party package. With 28 lanes of bowling action, you’ll party your way through frame after frame of Frames’ famously chic bowling. Or head to Frames’ elegant billiards lounge for a game of pool with the perfect stranger. Want to party in style? Indulge in a 6 hour premium open bar as you enjoy complimentary mini buffet food in this luxurious nightclub. A world-renowned DJ will be spinning the city’s best beats, including Rock, Hip Hop, Dance, and Top 40, while NYC’s hottest party people shake their stuff on the expansive dance floor. Spoil yourself with VIP options like Bowling Packages, exclusive Table and Bottle Service, and Couples Packages for you and that special someone. It’s all upscale, and it’s all yours at Frames this New Year’s. So grab champagne toast – on the house, of course - and raise it to the roof as the Times Square ball drops on Frame’s multiple big screens. You’ve got the best view of the NYC’s best game at Frames. It’s no surprise that celebrities like Cyndi Lauper and the Real Housewives are attracted to this luxurious entertainment complex. Frames, Times Square NYC’s premier destination for all-around entertainment, is the hottest spot for bowling, billiards, and the chic nightlife. Featuring top-notch European design and deluxe leather seating throughout, this awe-inspiring event space boasts entertainment for all ages while offering a sophisticated nightclub setting. Play around in the sprawling bowling area or head to the posh and intimate billiards lounge where you can shoot some pool with the hottest players in NYC. Want to shake a leg? Frames’ dance floor is one of the best in Times Square, drawing on the aesthetics of modern European clubs while staying true to that decidedly New York feel, while the vintage rock-inspired karaoke lounge features white leather seating, red accent décor, and retro pieces. You won’t want to miss all the New Year's Eve’s high-end happenings at Frames, NYC Times Square’s hottest dance club, billiards room, and bowling alley, all under one magnificent roof. Taking your NYE game up a notch has never been as exciting as it is at this outstanding and sophisticated nightlife hotspot.